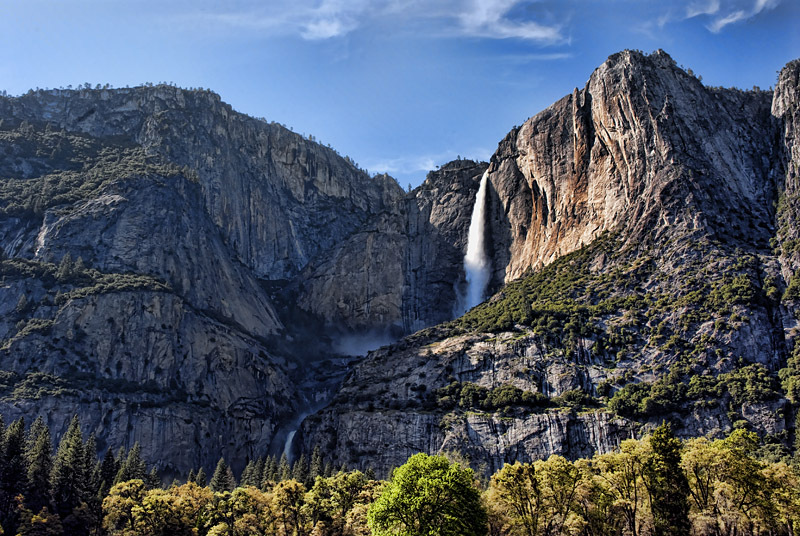 Yosemite Falls is the highest measured waterfall in North America. 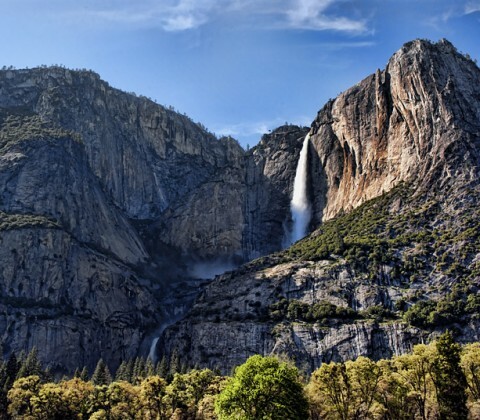 Located in Yosemite National Park in the Sierra Nevada mountains of California, it is a major attraction in the park, especially in late spring when the water flow is at its peak. The falls actually consist of three sections, Upper Falls (1,430 ft), Middle Cascades(670 ft) and Lower Falls(320 ft). 2,420 ft from the top of the upper falls to the base of the lower falls qualifies Yosemite Falls as the sixth highest waterfall in the world.